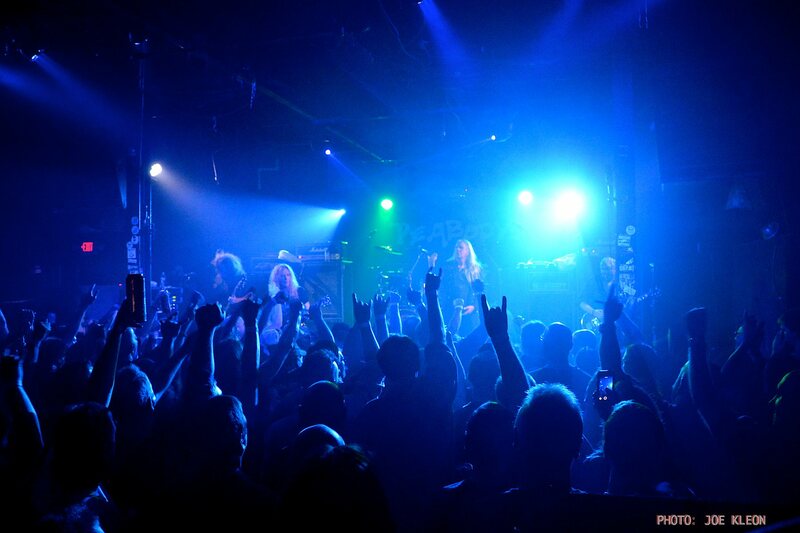 KNAC.COM - Reviews - SAXON Live In Cleveland, Ohio, With Photos! 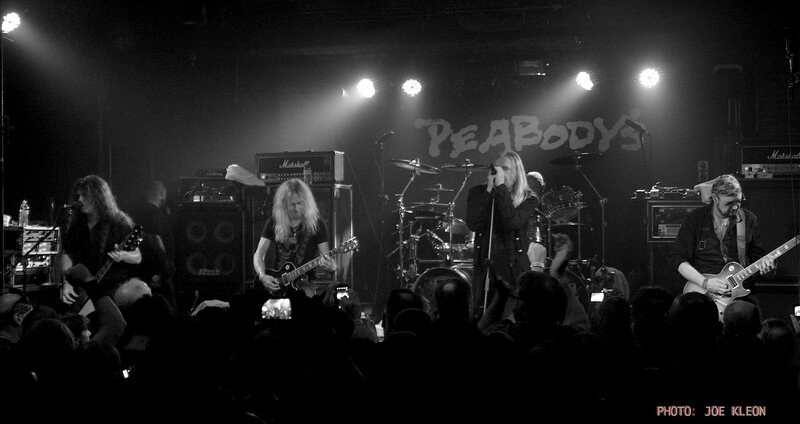 SAXON Live In Cleveland, Ohio, With Photos! 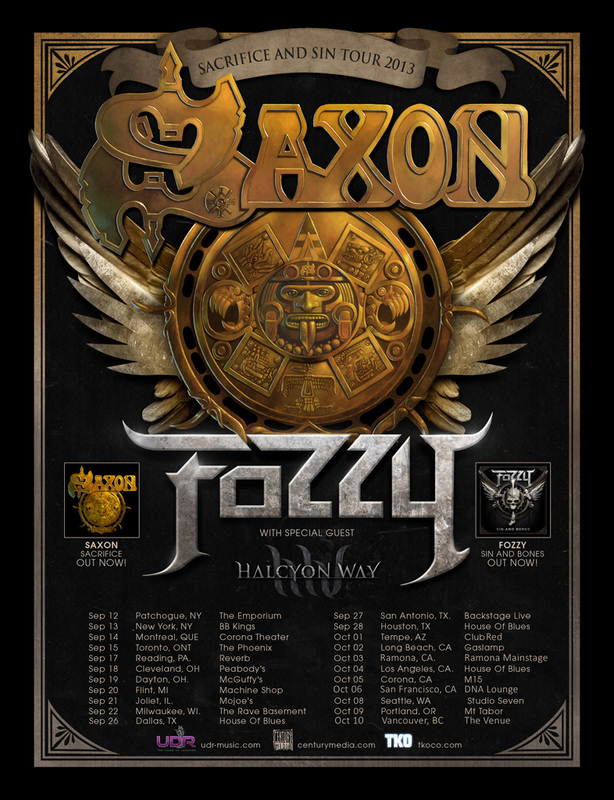 It's an understatement to say that SAXON has toured sporadically in the United States over the past several decades. I'm dating myself by admitting this, but the last time I saw them live was in 1983 or 1984 at the former Stanley Theatre in Pittsburgh, Pennsylvania, in support of either the Power And The Glory or the Crusader album. To be perfectly honest, a few releases later I lost track of SAXON altogether and probably missed a few sporadic opportunities to catch a gig. But several years ago a guitar student introduced me to their 2004 CD Lionheart, and I began to rediscover the band. Shortly thereafter, the music video for "Let Me Feel Your Power" blew me away, and I immediately purchased the superb Inner Sanctum (2007). I enjoyed this disc so much that I went back, did some listening, and picked up almost everything since 1999's Metalhead. It's inspiring that SAXON is still writing and recording high-quality material after more than 30 years in the business. Many bands are content to rest on their laurels and back catalog, but SAXON – particularly since the start of the new millennium – has been running on all cylinders. The secret to their continued relevance and status as New Wave of British Heavy Metal (NWOBHM) elder statesmen is their consistently good songwriting. It retains the essence and core identify of the band, but incorporates enough aggression and modern production values (engineer extraordinaire Andy Sneap mixed this year's Sacrifice) to keep things fresh. It's a winning formula, and in my opinion, the past five CDs are as good as or better than anything in their catalog. That's no mean feat in a career that encompasses 20 studio releases. Given my renewed enthusiasm for SAXON, it was an easy decision for the girlfriend and I to make the trek to Cleveland to take advantage of the rare opportunity to see them in concert. As expected, SAXON proved that they are still at the top of their game to a very respectable crowd of diehard fans. The mix was a bit murky and could have used some tweaking, but the energy of the performance nearly made up for these shortcomings. The individual members [Paul Quinn and Doug Scarratt (guitar; a solid duo), Nibbs Carter (bass; resident wildman on stage) and Nigel Glockler (drums; tasteful with great chops, an underrated player)] all more than held their own, but frontman and bandleader Biff Byford was the standout. His gravelly tenor sounds better than ever, and most singers half his age can't compete; in fact, I think he has earned his place among elite British metal vocalists such as Rob Halford and Bruce Dickinson. The only real disappointment was the setlist, as I was hoping to hear a mix of classics and newer material. As it turned out, 12 of 17 songs were from the 1980s; a friend and Cleveland native nailed it (and provided a good laugh in the process) when he dubbed this show the "80s transportation set" (e.g.,"747 (Strangers in the Night)," "Motorcycle Man," "Wheels of Steel," and "Princess of the Night"). They also played one 1990s track ("Solid Ball of Rock") and four tunes from 2013's Sacrifice ("Sacrifice," "Wheels of Terror," "Made in Belfast" and "Guardians of the Tomb"). I understand the importance of promoting the latest release, but I was puzzled that SAXON overlooked the previous decade of recorded material. At the very least, I expected they would cover the popular video tracks from Inner Sanctum ("Let Me Feel Your Power") and Call to Arms ("Hammer of the Gods") to even things out. I know, I know; you can't please everybody. Since they haven't toured much in the U.S. on the newer discs, maybe they didn't want to disappoint fans that might not be familiar with their recent output ... In support of this theory, note that Biff discussed song selection and took requests from the crowd several times during the course of the evening (accounting for why the set varied slightly on this tour), but the choices still focused on the vintage material. To add insult to injury, "Heavy Metal Thunder" (a personal favorite) was beaten by "To Hell and Back Again" in one of the audience votes! 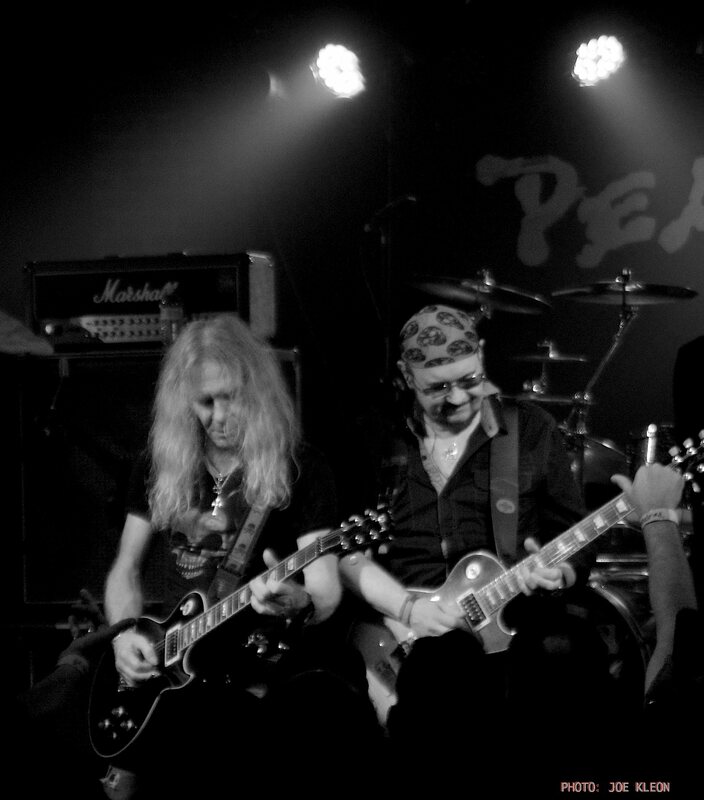 A band like SAXON is a model for how to expand a musical legacy (peers such as ACCEPT, IRON MAIDEN, JUDAS PRIEST, SCORPIONS and MOTORHEAD also come to mind) and doesn't have to play the nostalgia card in concert. In the bigger picture, however, I guess I can't complain too much, because it is really cool that SAXON is still rocking hard and showing no signs of slowing down. I can always pick up a copy of their 2012 Heavy Metal Thunder Live - Eagles Over Wacken CD/DVD if I want to hear them give equal time to their excellent "millennium material." By the way, if it hasn't become obvious already, I highly recommend SAXON's last five CDs to all fans of classic metal. "To Hell and Back Again"
"And the Bands Played On"
"747 (Strangers in the Night)"
"Strong Arm of the Law"